What a pretty face and soft eye! 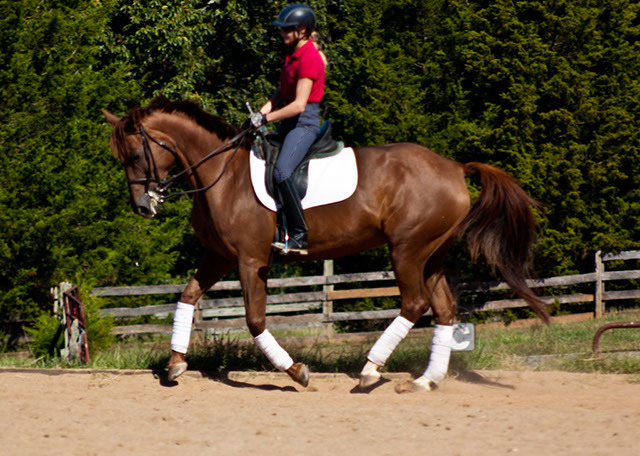 Delancy is a lovely 2002 Canadian Bred Oldenburg mare. At 16.1, she is a very comfortable size for any rider. 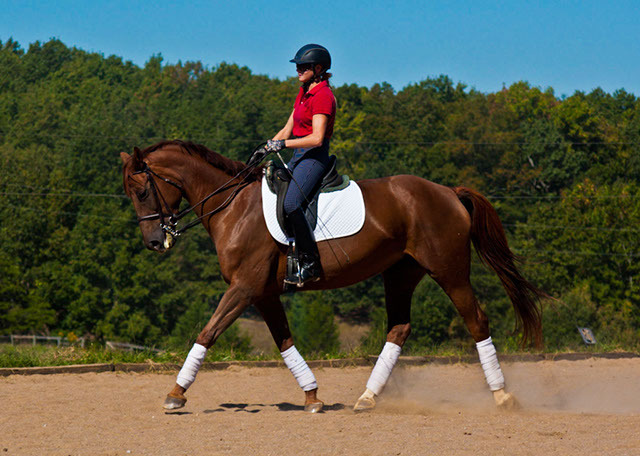 Delancy is a super elegant athletic girl with lovely suspension in her gaits. Her elasticity makes her a dream to sit her incredible extended gaits. Delancy is energetic and forward with an enthusiastic, ambitious work ethic. Delancy has competed through PSG successfully and an innately born talent for Piaffe and Passage. The mare also loves to hack out alone and in company and never exhibits marish behaviors. 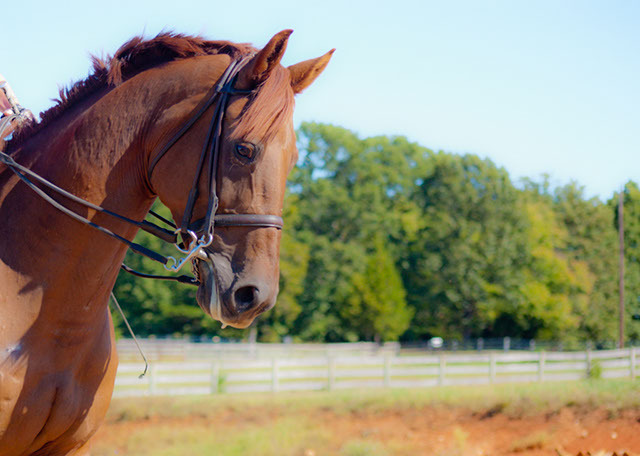 This very special mare prefers a confident, ambitious rider. 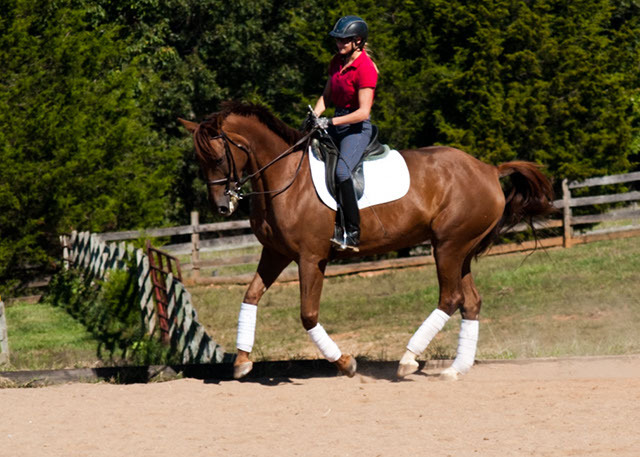 She has a huge heart and will volunteer hard work to a rider who helps to work with her in a confident manner. She is a lady in all situations and will change anyones opinion about chestnut mares. She has not been ridden in 3 years while making babies.